In a blog post today, developer Harmonix announced Rock Band 4, a new entry in their beloved Rock Band franchise coming out later this year for the Xbox One and PlayStation 4. Longtime fans will be pleased to hear that anyone who has purchased songs for previous Rock Band titles will be able to download them to Rock Band 4, free of charge, once they become available. I’m personally very excited for a new Rock Band; I played a lot of Rock Band and Guitar Hero in college, and I feel there has been enough of a break since the last entries for people to really get excited about a new one again. I quite enjoyed learning how to play with those silly plastic instruments, and it will be…interesting to see how I do after all these years (spoiler: I’m sure I’m super rusty and not any good anymore). This is the second in a series of three articles examining how the successes and failures of the 7th generation consoles (Xbox 360, PS3, Wii) impacted their respective 8th generation successors (Xbox One, PS4, Wii U). 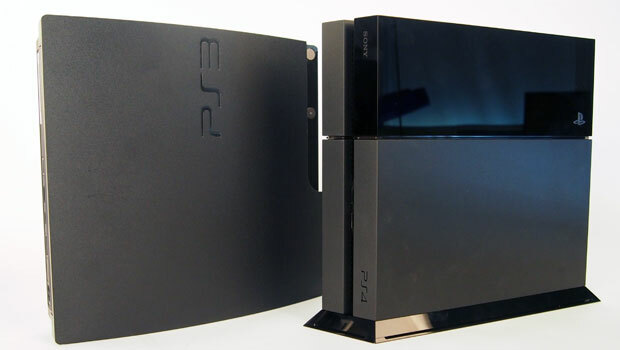 This article takes a look at the PlayStation 3 and PlayStation 4. The first article dealt with the Xbox 360 and Xbox One, and the final article will discuss the Wii and Wii U. When Sony entered the console gaming space in the mid-1990s, they found instant success. The original PlayStation was a much more developer-friendly console than Nintendo’s N64, and a flood of exciting exclusive titles like Final Fantasy VII and Metal Gear Solid helped the new console surpass its competitors. The PlayStation 2 (PS2), with its strong developer support and its ability to play DVDs, saw even greater success than its predecessor, becoming the best-selling home console of all time (and selling over three times as many units as its two closest competitors, the Nintendo Gamecube and Microsoft’s original Xbox, combined). Naturally, then, Sony had all the reason in the world to be confident heading into the 7th console generation with the PlayStation 3. Unfortunately for them, they proved themselves to be a bit too confident, making some critical errors with the PS3 that gave competitors Microsoft and Nintendo a chance to re-assert themselves in the market. Let’s take a look now at some of those errors, as well as the ways that Sony learned from their mistakes in creating the PlayStation 4. One of the biggest changes that Sony made going from the PS3 to the PS4 was the type of processor used in each machine. 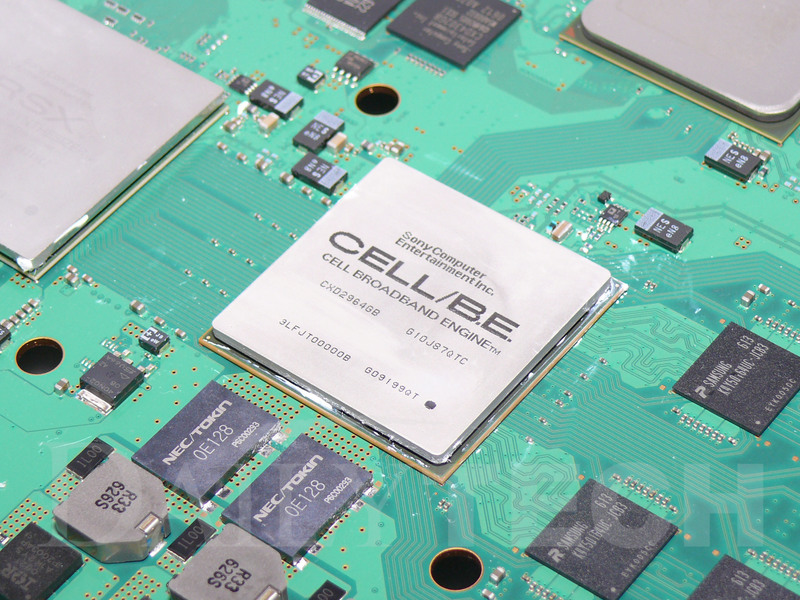 The PS3 featured a new kind of processor made by Sony (and a group of other tech companies like IBM and Toshiba) called the Cell. While this new CPU had more raw potential than that of the Xbox 360, it proved to be much more complex and very difficult for developers to work with. As a result, many games looked or ran noticeably better on 360 in the first few years of the 7th console generation, and some developers simply didn’t bother working on the PS3 at all. Over time, Sony taught developers how best to use their hardware, and by the end of the generation, many third-party games were just as good, if not better, on PS3 than on 360. But those early difficulties were something that Sony wanted to avoid with their next console. For its first three consoles Sony’s own Japanese teams, led by Ken Kutaragi (a longtime Sony Computer Entertainment executive and often referred to as “The Father of PlayStation”), handled the duties of defining PlayStation hardware, and Kutaragi had led the charge in developing the Cell processor used in the PS3. 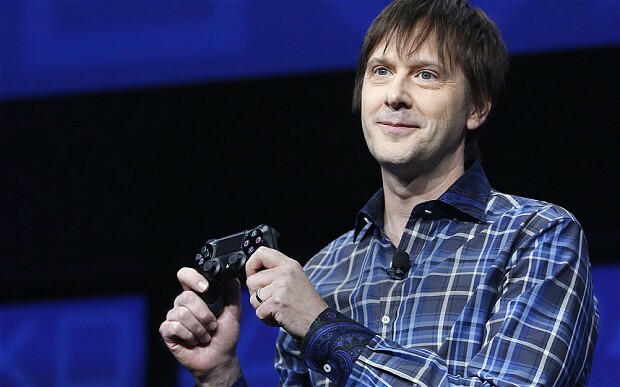 Shortly after the launch of the PS3, however, Kutaragi stepped down from his position at Sony to pursue other opportunities, and when it came time to start creating their next console, Sony hired a westerner, games industry consultant Mark Cerny, to be their lead architect. Difficult game development wasn’t the only problem introduced by the Cell; price was another key factor. 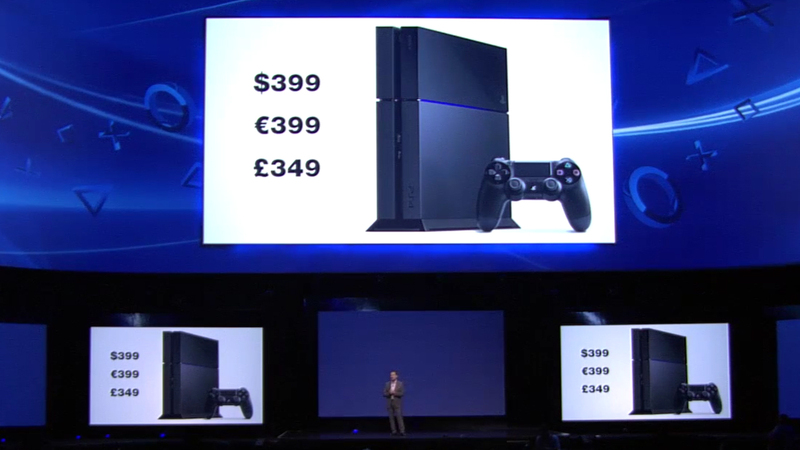 The Cell was very expensive to produce, and altogether Sony had to charge $599 for the PS3 at launch, which was $100 more than the Xbox 360 (and Sony was still losing a couple hundred dollars on each console sold). 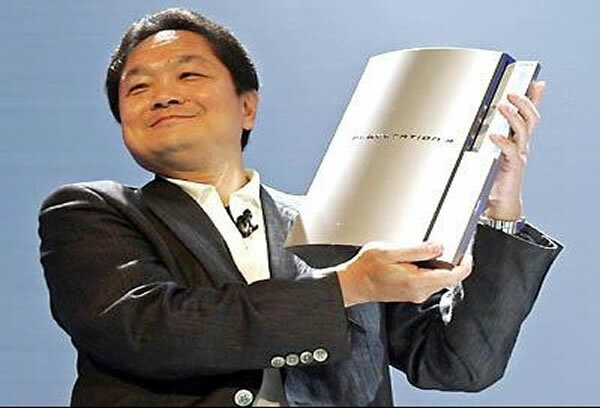 Prior to the console’s 2006 launch, Ken Kutaragi infamously declared that he wanted consumers to “think to themselves ‘I will work more hours to buy one.’ We want people to feel that they want it, irrespective of anything else.” The public was not pleased; Microsoft and Nintendo were both offering interesting consoles for less money, and the PS3’s heavily marketed Blu-ray player couldn’t tip the scales in Sony’s favor the way that the PS2’s DVD functionality had in years past. Sony learned the hard way that console loyalty can be lost quite quickly, and early PS3 sales lagged behind both the Xbox 360 and Nintendo Wii. Eager to avoid the same mistakes with the PS4, Sony adopted a much more humble tone when announcing their new console. Their reveal conference placed an emphasis not only on developers but on core gamers as well, stressing the importance of the gaming community and announcing several games that would be available at the platform’s launch or shortly thereafter. They then watched carefully in the following months as gamers revolted against Microsoft’s plans to bundle Kinect with every Xbox One and to require regular online verification for all Xbox One games. At their E3 conference in June, Sony announced that the PS4 would feature none of the unpopular policies proposed by Microsoft, that the PlayStation Camera (Sony’s closest equivalent to Microsoft’s Kinect) would be sold separately from the main console, and that the PS4 would release at $399, which was $100 less than Xbox One. These simple statements, more than any games or other features announced for the new platform, won Sony a lot of early support and has played a large part in helping the PS4 gain an early lead in sales over the Xbox One at launch and throughout 2014. While the design and marketing of the main console has been the biggest factor in the PS4’s success, it’s worth taking a few moments to note the improvements Sony has made in controller design between the 7th and 8th console generations. The PlayStation 3’s controller, called the Dualshock 3, faced a fair amount of criticism when compared to that of the Xbox 360. With the exception of the Dualshock’s D-pad, everything else was considered inferior by most gamers: the analog sticks were convex, making it easy for the player’s thumbs to slide off; the hand grips were not as comfortable; the gummy, convex R2 and L2 buttons were poor substitutes for the proper triggers on the 360 controller (in fact, some games from Sony’s own studios opted to program the R1 and L1 buttons for weapon fire instead); the overall construction felt cheaper and easier to break. In constructing the Dualshock 4 for their new platform, Sony made sure that this controller would not be an obstacle to gamers. Every major complaint with the Dualshock 3 was fixed in the new pad. The analog sticks became concave, as did the R2 and L2 buttons, which now functioned properly as triggers. 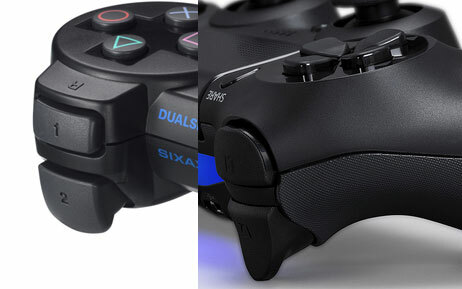 The grips were shaped more comfortably than those on the Dualshock 3 as well. Sony also added a brand new element to their controller: a touchpad similar to the one found on the back of Sony’s most recent portable gaming console, the PlayStation Vita (also designed by Mark Cerny). The Dualshock 4’s touchpad can be pushed down to act as another button, and additional inputs can be registered via swipes of one’s finger across the pad in different directions. These wise decisions have laid a solid foundation for the PlayStation 4 and have re-established Sony as the market leader in console gaming. Even in the face of a now resurgent Microsoft, the goodwill that Sony has earned among gamers will likely help keep them in a position of strength throughout this generation. 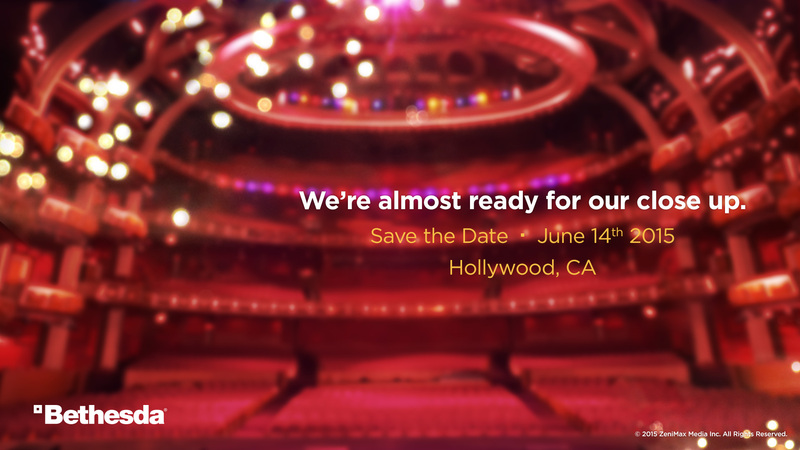 Well here’s an interesting tidbit of news: today, video game publisher Bethesda Softworks announced it would be holding its first ever E3 press conference in Los Angeles on June 14th. The question now, of course, is what games will they have ready to reveal? Bethesda must have some big announcements to justify all the time and money necessary to put on a big conference; the reveal of the much-requested Fallout 4, even just a teaser, would probably make the show worthwhile. Footage from the Doom reboot seems likely; it will be interesting to see how the franchise evolves now that famed programmer John Carmack has left Doom developer Id Software to work with Facebook on the Oculus Rift. A potential Dishonored sequel would be a good fit for this conference as well. Whatever Bethesda has up its sleeve, it adds to what will already be an exciting week for gamers, with many of the industry’s biggest players ready to show off both major sequels and brand new franchises. June can’t come soon enough. This is the first in a series of three articles examining how the successes and failures of the 7th generation consoles (Xbox 360, PS3, Wii) impacted their respective 8th generation successors (Xbox One, PS4, Wii U). 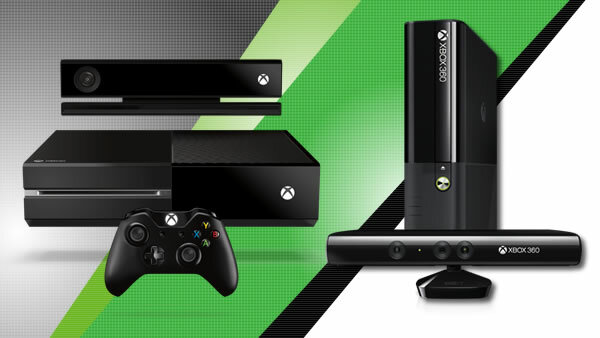 This article takes a look at the Xbox 360 and Xbox One. The next article will deal with the PS3 and PS4, and the final article will discuss the Wii and Wii U.
Consoles are a major investment for a company. When Microsoft, Sony, or Nintendo sit down to start planning a new gaming platform, they know they will be spending many years and hundreds of millions, if not billions, of dollars on research and prototypes before the platform is completed and brought to market. They have to make a plan, learning both from the lessons of the past as well as the trends heading into the future. This article (and the two articles that will follow) examines the former, how a platform-holder looks at their previous hardware and decides what aspects are worth continuing into the next generation, and what past problems need to be avoided as they move forward. Let’s start with Microsoft, examining a few major aspects of the Xbox One that were influenced, for better or for worse, by the Xbox 360. If you buy an Xbox One and pull it out of the box to start setting it up, one of the first things you’ll likely notice about Microsoft’s new console is its sheer size. It is a large (and hefty) console, noticeably bigger than either of its 8th generation rivals. 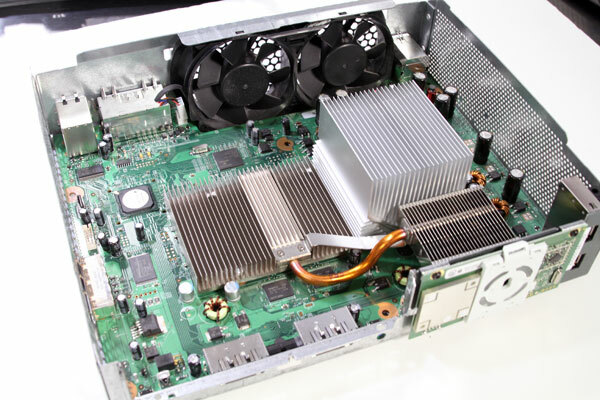 While there are a variety of reasons why this could be the case, perhaps one of the more interesting reasons is the large fan used to cool the Xbox One hardware. The fan that Microsoft’s engineers settled on for their new platform is substantially larger than those found in the PS4 or Wii U, and allows the console to easily cool itself down without making much noise. The decision to include such a large fan can likely be traced back to one of the first challenges Microsoft faced with the Xbox 360. 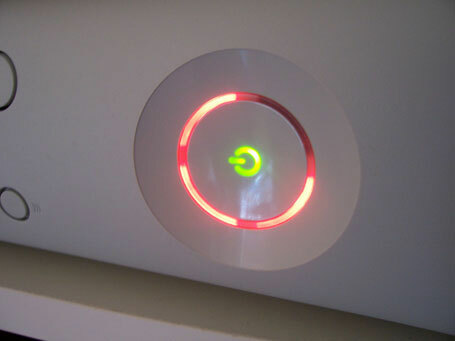 In the first few years of its lifecycle, many Xbox 360 consoles suffered from a hardware problem (commonly known as the “Red Ring of Death” for the glowing red rings that appeared around the power button when the problem occurred) that caused the console to overheat to the point of rendering it inoperable; this malfunction made the Xbox 360 a far less reliable console than Sony’s PS3 or Nintendo’s Wii. While future revisions of the 360 hardware largely eliminated this problem, Microsoft’s engineers likely had this debacle in mind when designing the 360’s successor, and sought to ensure that it would not be a problem on the Xbox One. While the 360’s console hardware received some harsh criticism, its controller received near universal praise and was widely regarded as superior to Sony’s PS3 controller, the Dualshock 3. The 360 pad was sturdier and generally more comfortable, and the presence of proper triggers (rather than the Dualshock 3’s gummy, convex buttons) made it the go-to controller for shooters. PC gamers also gravitated toward the 360 controller for their own games, as Microsoft made it easy for people to set up a wired 360 pad to a Windows computer. With all this praise for the 360’s controller, Microsoft knew they had to tread carefully when creating the controller for the Xbox One. 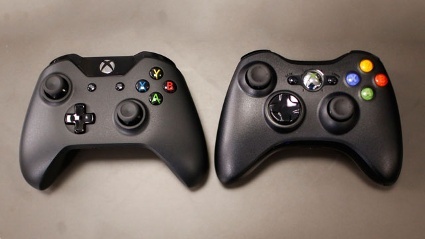 Rather than introduce any radical changes to the new controller’s design and risk fixing what wasn’t broken, Microsoft opted to play it safe, implementing a variety of more subtle changes to improve the experience that people had become accustomed to, most significantly a higher-quality D-pad (often considered the 360 controller’s one key weakness) and new rumble motors located within the triggers. The result is a controller that maintains the comfortable, practical design of its predecessor and, most people who have experience playing games on the Xbox 360 or a PC should feel right at home with it. Throughout the lifespan of the 360 Microsoft frequently updated the console’s operating system (OS), adding new features and even dramatically re-organizing the dashboard as they did in 2008 with the NXE (“New Xbox Experience”) and in 2011 with their Metro-style re-design. While the Xbox One is still too young to need a radical new dashboard, Microsoft has continued the trend of consistent updates with this console, releasing a new update for the Xbox One almost every month since the console launched in 2013, and often introducing new features that fans have been asking for on forums and on Microsoft’s own feedback website. 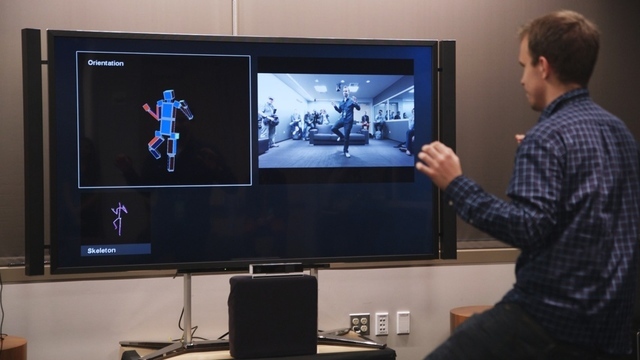 Perhaps one of the most controversial carry-overs from the 360 era to Xbox One is the Kinect, Microsoft’s peripheral used to track body motion and register voice commands. The Kinect for the Xbox 360 sold extremely well at its launch in November 2010, briefly taking the prize in the Guinness Book of World Records as the Fastest-Selling Consumer Electronics Device. Dance Central from developer Harmonix and Kinect Sports from Microsoft’s own studio Rare became big hits for the new hardware, and Microsoft worked to integrate voice and gesture functionality into the 360’s user interface. This early success convinced Microsoft to bundle a new, improved version of the Kinect with each Xbox One console. Kinect became a key part of Microsoft’s early marketing campaign for the One, with many commercials showing off the console’s ability to switch between games and TV functionality using Kinect voice commands. On the one hand, bundling the new Kinect with each console right out of the gate allowed Microsoft to build both the console and the camera from the ground up to work well together, making all the major features and settings easily accessible with a simple voice command or gesture. On the other hand, it also led Microsoft to lean a bit too heavily on the Kinect for navigating through the Xbox One operating system, as certain features were much more difficult to find if you forgot the proper voice command and had to search through the OS with the controller. Price became a problem as well; bundling the Kinect forced Microsoft to sell the Xbox One for a steep price of $499, while Sony, in separating their PlayStation Camera from the new PlayStation 4, could sell the PS4 for just $399. Consumers also reacted poorly to the Kinect-centric marketing, especially in light of Sony’s gaming-centric message coming out of E3 2013. The consumer backlash (surrounding not only the inclusion of Kinect but also policies regarding the console’s internet requirements) was strong enough to convince Microsoft to start making changes to the Xbox One, and fast. 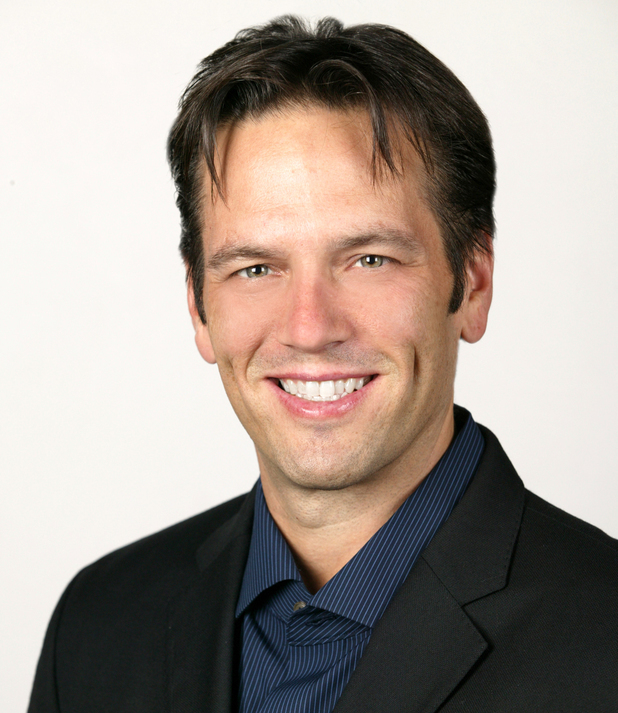 Among the most significant changes was a shift in leadership, with Phil Spencer, the head of Microsoft Studios (Microsoft’s game publishing arm), taking a new role as “Head of Xbox” in March 2014, putting him in charge of all software for the platform. Marketing quickly became much more focused on games, and just a couple months later the Redmond-based tech giant announced that the Xbox One would become available without Kinect for $399, matching the PS4. In addition, Microsoft has added new controller-based shortcuts to help players find certain features more easily without voice commands, and to generally make the operating system more intuitive. Despite their missteps, Microsoft has built a solid platform on which to play games and enjoy other entertainment, and their ability to adjust to consumer demand very quickly (more quickly than one might expect from such an enormous corporation) will help the Xbox One remain relevant in the years to come. Hey everyone! I know I’m a bit late, but I’d like to point out a couple of trailers that came out of the recent Playstation Experience event. The first is the trailer for the Uncharted 4: A Thief’s End. This is our first look at gameplay for developer Naughty Dog’s next big blockbuster title, and I must say it looks fantastic. I’ve long considered Uncharted to be the best franchise that Sony has in their lineup, and this new entry looks as strong as its predecessors (as least as far as the moment-to-moment gameplay is concerned). The biggest change I see is that the level design seems a bit less linear than in previous Uncharted games. I’m not convinced that this change is really necessary – I never thought that the linearity of the other games was holding the franchise back – but I don’t think it hurts anything either, and I trust Naughty Dog to deliver a fine experience regardless. The other bit of news that caught my attention was the announcement trailer for the PS4 port of Bastion, the first game from developer Supergiant Games. PS4 owners have already had a chance to play Supergiant’s latest title, Transistor, but this is the first time that Bastion is appearing on a PlayStation platform. I highly recommend that any PS4 owners who haven’t had a chance to play this game in the past pick it up on PS4 when it is released. Bastion is a phenomenal game with an interesting story, endearing characters, and a wide variety of weapons that let you tailor the combat to your playstyle. I’ve enjoyed multiple playthroughs of the game in the years that I’ve owned it, and just writing about it now makes me want to go back and play some more.